SalonU is the embodiment of the heart and soul of Sandie Scott, who opened her own salon in 2016 in her hometown of Allison Park, Pennsylvania. A true beauty industry artist, national and international educator, voracious learner, and “stylist to the stars,” Sandie loves helping clients explore and develop their own personal style - to be their best possible selves, feeling beautiful inside and out. A forty-year veteran in the field of cosmetology, Sandie began as an esthetician, doing facials and make-up, long before “spa” salons, then she moved on to master the art of hairdressing. Later becoming an educator for the Italian company,Framesi. Sandie started as a local Framesi technician 25 years ago, quickly advancing to a senior technician. With further experience, she was then invited to be a part of an international team of hair stylists, the Framesi Italian Style Team. Membership requires ongoing rigorous training, testing, and completion of a certification program. The Style Team travels all over the U.S. and Canada to teach hair color, cutting, and current fashion trends, sharing the knowledge and expertise gained with Framesi with countless other hair dressers. The Style Team also shares with one another. Many are salon owners. So when it came to opening her own salon and naming it, Sandie turned to her peers. Each one advised her to brand it with her own name. Something about that didn’t seem right, Sandie thought. “But it’s not’s about me. It’s about YOU,” she replied. And the name SalonU was born. 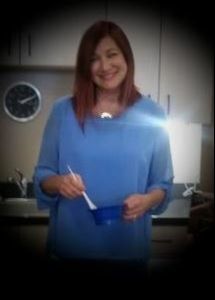 With that, Sandie created a salon that is equal parts relaxing retreat, beauty Mecca, and learning laboratory. A place of tranquility, where clients can escape the day to restore and refresh. A place to become a more beautiful version of oneself. And a place for growth and development for both clients and stylists. Throughout her career, Sandie has made it her business to develop extraordinary expertise in every hair service so that she can create customized styles for every client, no matter their need—color, cut, perm, special technique, you name it. She leads by example through her “beauty university” for stylists, teaching them about the most advanced techniques, trends, and products, and encouraging them to unleash their creativity. In development are also classes for her clients (e.g, Skin Care 911 and Style Your Hair Like a Pro), because Sandie has found that her clients want to learn, too. What’s more, Sandie’s interests and expertise extend well beyond hair to skin care, makeup, natural beauty products, fashion, and social and environmental responsibility. Early on, Sandie saw the connection between wellness, beauty, and social and environmental consciousness. With SalonU, she brings these all together in her mission to make the experience “all about YOU”­—whether “you,” the individual or “you,” the planet. Her work has been seen in print ads for Eyetique and UPMC, and published in InStyle, Nylon, other hair magazines and books. Sandie has enjoyed working with Hollywood stars. But to her, anyone who sits in her chair is a star and gets the full star treatment. SalonU is the embodiment of the heart and soul of Sandie Scott, who opened her own salon in 2016 in her hometown of Allison Park, Pennsylvania. A true beauty industry artist, national and international educator, voracious learner, and “stylist to the stars,” Sandie loves helping clients explore and develop their own personal style—to be their best possible selves, feeling beautiful inside and out. Membership requires ongoing rigorous training, testing, and completion of a certification program. The Style Team travels all over the U.S. and Canada to teach hair color, cutting, and current fashion trends, sharing the knowledge and expertise gained with Framesi with countless other hair dressers. The Style Team also shares with one another. Many are salon owners. So when it came to opening her own salon and naming it, Sandie turned to her peers. Each one advised her to brand it with her own name. 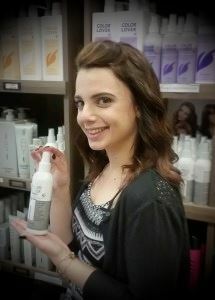 Kirstie’s passion for cutting, coloring, and styling shines through each and every day at SalonU. ​Clients can count on Kirstie’s quality and attentiveness. 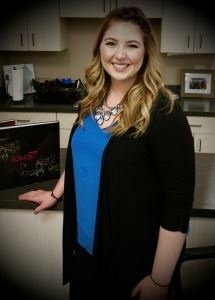 With a truly customized approach, Kirstie excels in hair cutting and coloring that consistently provide clients with shiny, healthy, and beautiful results. 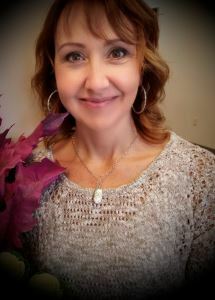 A seasoned stylist with particular expertise in hair color and texture, Sonya’s mantra is “keep it simple.” She wants nothing more for her clients than that they enjoy their Salon U experience and love their hair when they walk out the door. With particular care and attention to each individual’s wants and needs, Joanna makes sure each client leaves loving their total experience at SalonU. Family and fun are important to Joanna, and her clients know her energy and enthusiasm for a life well lived are contagious. With this in mind, Becca enthusiastically helps each of her clients achieve that sense of self confidence that allows their true beauty shine through. 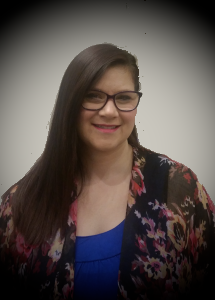 Becca is passionate about creating beautiful hair color and style, and enjoys teaching clients about the importance of the health and proper care of the scalp and hair. With this philosophy, Samantha creates stunning looks for her lucky SalonU clients. She follows in the footsteps of her mother, having similarly pursued her passion for beauty with a career in cosmetology. With the creative talent of a true artist, Samantha specializes in makeup for any occasion, Balayage hairpainting, and bridal styling. No matter what “masterpiece” she’s creating, Samantha ensures her clients can put their best face forward, feeling refreshed and beautiful, head to toe. Kathy is a friendly, welcoming face that greets you at the door with a smile and one mission. For Kathy and the SalonU stylists, that’s not merely a slogan. It’s a way of life. Treating each client with respect, care, and TLC, Kathy ensures that from your very first moment inside to your last step out the door, you feel pampered, relaxed, and rejuvenated in a way that leaves you radiant and beautiful. Kathy is genuine and helpful, whether scheduling your next appointment, making you a fresh cup of coffee, guiding your product selection, or simply getting to know you on a more personal level. With Kathy, YOU are her first priority!